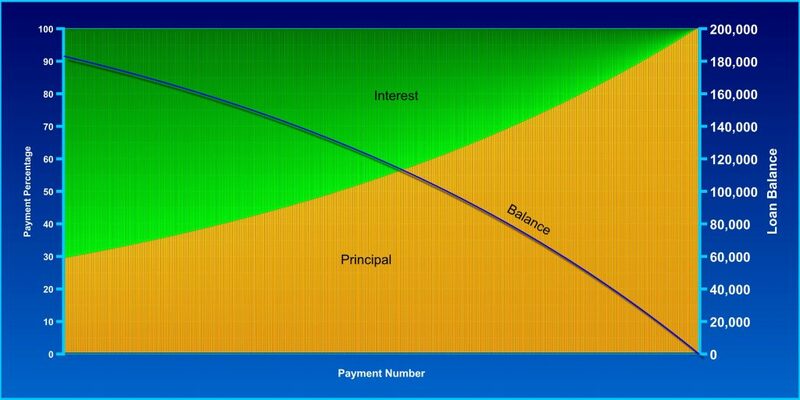 Home > All > Loans > What is a mortgage amortization schedule and how does it work? Let’s say you want to buy a home. Few people have enough cash to purchase the house outright, don’t have a wealthy aunt, grandparent or parent and don’t want to wait until they’re 100 years old to purchase a home. Assuming you’re about as responsible with money and work as the next guy, one solution is to use a loan from a mortgage bank (like Loanatik) and borrow the money you need to buy the house. When the money you borrow is secured by real estate it’s called a mortgage. By taking money from the bank they essentially become your business partner until the money you borrowed, plus interest, has been paid back. At the end of one year, you will have paid $55 in total and paid off the entire loan.